The seat, or saddle, position on a road bike is an important factor for a comfortable ride. 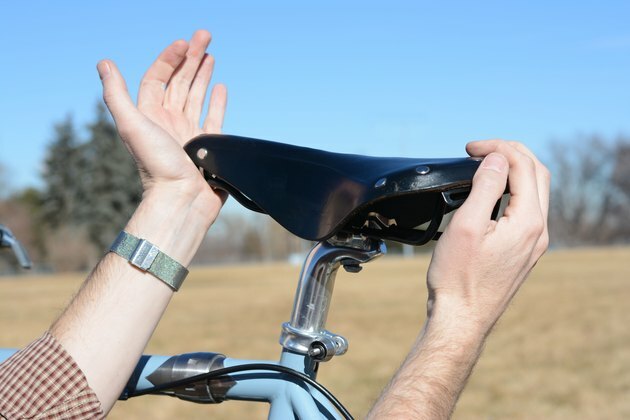 The longer and farther the ride, the more important it is to have a properly adjusted seat. 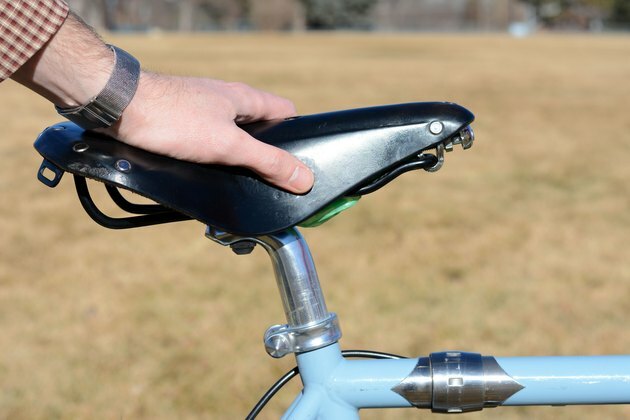 Saddle height also affects your riding efficiency. 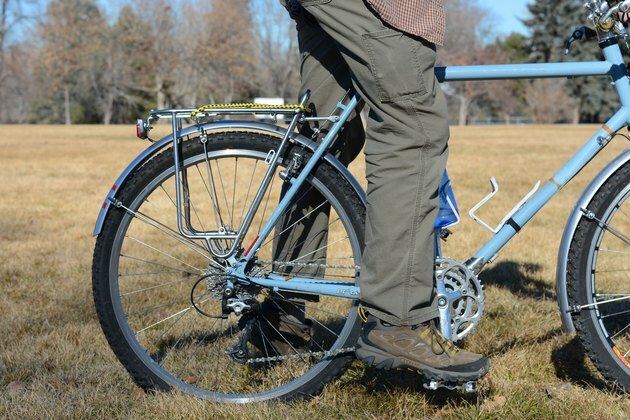 If the saddle is too low, your knees are excessively bent, resulting in pedaling fatigue. If the seat is too high, your knee may hyperextend, possibly causing excessive wear and injury to the knee joint. 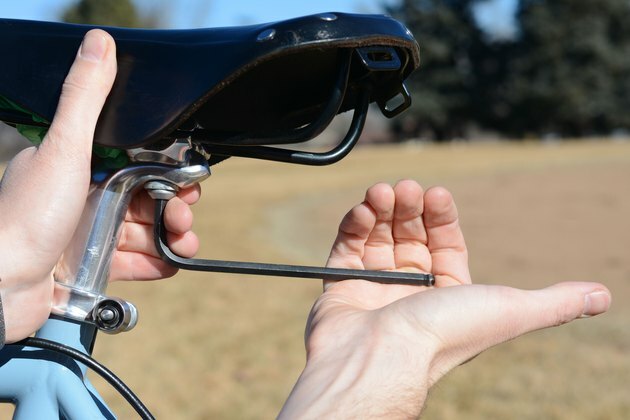 Adjust the height, pitch and horizontal position of your road bike seat. 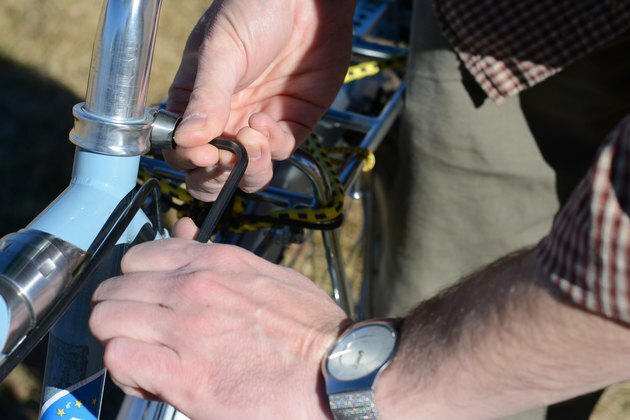 Loosen the seat post bolt with an Allen or fixed wrench. Grab the seat with both hands and twist it while pulling up or pushing down. Tighten the seat post bolt. Sit on the saddle. Place the ball of your foot on top of the pedal spindle. Rotate the pedal so it is in the lowest position. Your knee should be slightly bent. If it is excessively bent, raise the seat. If your knee is fully extended, lower the seat. 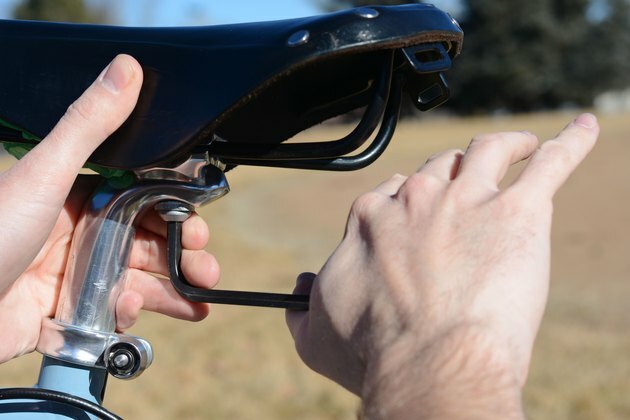 Loosen the seat clamp underneath the seat. Adjust the pitch of the seat up or down. If you are not sure what angle works best for you, start with the seat horizontal. You can adjust the pitch later after you've ridden awhile. According to Bicycle Tutor, women generally prefer the seat nose angled down slightly, while men prefer the seat nose angled up. Slide the seat forward or back to adjust the horizontal position. Tighten the clamp bolt. Sit on the seat. Place the ball of your foot over the pedal spindle. Rotate the pedal so the crank arm is pointing directly forward. The horizontal position of the seat is correct if your knee is directly above the pedal spindle. If your knee is forward of the spindle, adjust the seat back. If it is behind the spindle, adjust the seat forward. 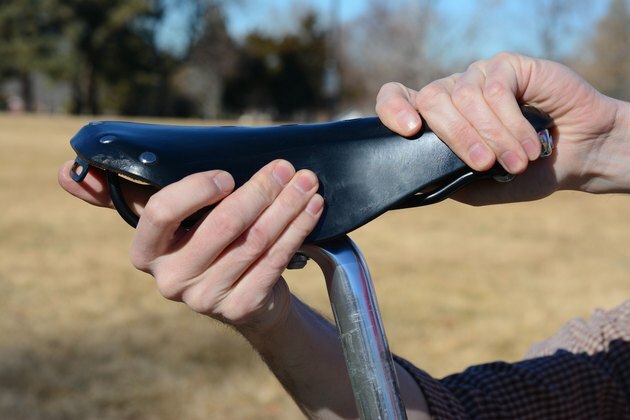 Seat adjustment is an art, not a science. 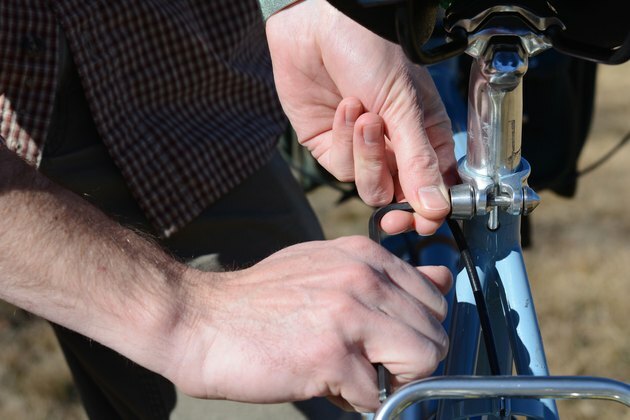 You will likely need to adjust the seat again after test riding the bike a few times. Do not raise your seat beyond the minimum insertion marking on the seat post.